KUALA LUMPUR (June 17): The Public Accounts Committee (PAC) has decided to haul up 1Malaysia Development Bhd’s (1MDB) president and group executive Arul Kanda Kandasamy and former chief executive officer (CEO) Datuk Shahrol Halmi separately, following new information into the probe. PAC will also summon former 1MDB’s managing director and CEO Hazem Abdul Rahman for the probe on Aug 6, after obtaining new leads from the strategic investment fund’s former auditor KPMG's testimony today. Two other individuals — Sime Darby's president and group CEO Tan Sri Mohd Bakke Salleh and RHB Capital's Tan Sri Azlan Zainol — will also be called up for the probe on Aug 17. Today, KPMG's managing partner Datuk Johan Idris, who is also Malaysian Institute of Accountants (MIA) president, was present with three other KPMG officials to face PAC's probe on 1MDB, that was scheduled this morning. Also present was KPMG partner Ahmad Nasri Abdul Wahab, who signed off the controversial accounts of 1MDB for 2010. This confirms a report published in The Edge Financial Daily today, that Arul and Shahrol have been summoned by PAC separately, in early August. "We are going to call Shahrol on August 4 and Arul on August 5, separately," said PAC chairman Datuk Nur Jazlan Mohamed to reporters today. He explained that the duo has to be hauled up separately, because there was new information into the probe that has raised more questions. Nur Jazlan however denied the allegations that PAC was simply delaying the inquiry, to give the duo more time to prepare for the probe. "This (in fact) gives us more time to ask questions to the auditors (Deliotte and KPMG); it has taken a total of eight to nine hours with them. 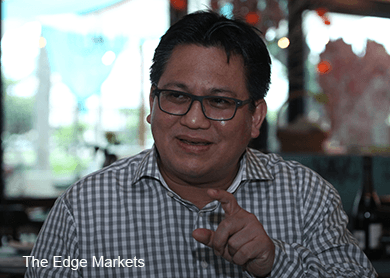 "Maybe it is good for them (Arul and Shahrol) to be prepared," said Nur Jazlan, issuing a stern warning that the duo should not skip the next scheduled meeting with PAC in early August. Arul and Shahrol did not turn up for PAC's scheduled inquiry on May 26, citing reason as having been on business traveling.